We are almost out of tee times for the 30th Annual Chamber of Commerce Golf Tournament! The tournament is slated for Friday, April 12, at Sulphur Springs Country Club with morning tee times available. Let us know right away if you would like to have a team as the spots are filling up quickly. It’s a great tournament to be shared with friends and family! Give the Chamber a call at (903) 885-6515 to register today! Community Players presents Forgotten, A Peter Pan Story at the Main Street Theatre, 225 Main Street in Sulphur Springs, on Friday April 5 and Saturday April 6, at 7 p.m. Additional show times are Sunday, April 7 at 2 p.m.; Thursday, April 11, at 7 p.m.; Saturday April 13, at 7 p.m.; and Sunday, April 14, at 2 p.m. Seats are limited, tickets are $10. Visit www.communityplayersinc.com for more information. History by Foot with John Sellers is scheduled for Saturday, April 6, at 10 a.m. Cost is $10 per person. Make reservation by emailing John Sellers at [email protected] or call CNB at 903-885-7523. Reservations are filling up fast! The Muddy Lotus is helping sponsor a fundraising event for the CARE Center to be built in Hopkins County. The fundraiser will include live music, a fashion show, and art auction and will be held on Saturday, April 6th from 6 p.m. to 10 p.m. at the Backstory Brewery. Please make plans to support this fantastic cause. 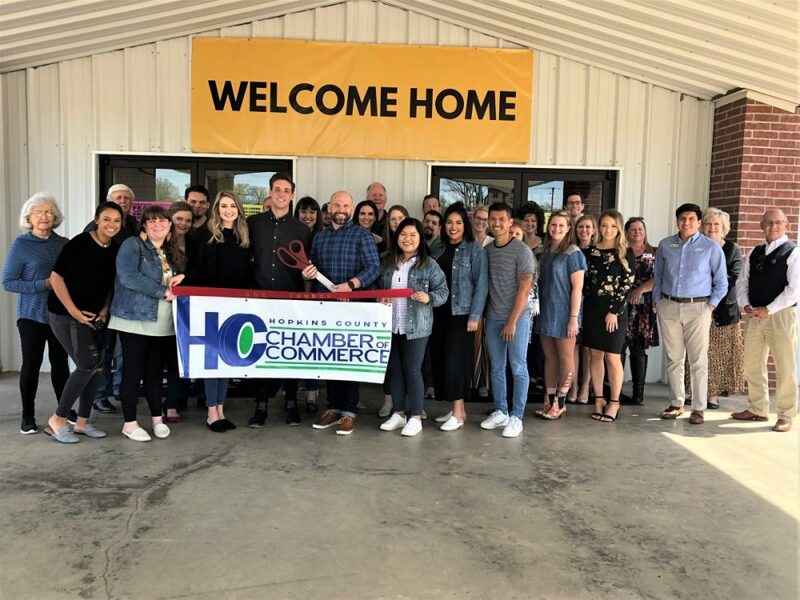 Jehovah Jireh, a new food pantry located at 10870 State Highway 11 East in Como, Texas, is hosting their ribbon cutting celebration on Wednesday, April 10, at noon. Make plans to join the celebration! Texas A&M Commerce is hosting two business seminars on Thursday, April 11, from 8:30 a.m. to 1:30 p.m. free of charge with lunch provided. You may choose between “Specialized Business Skills” and “Emerging Entrepreneurs.” For more information, visit https://tinyurl.com/SUDS-TAMUC-entrepreneurs or https://tinyurl.com/SUDS-TAMUC-BusinessSkills. CANHelp is preparing for their Fifth Annual Play It Forward Tennis Tournament and fundraiser which is scheduled on Saturday, April 13 at the Sulphur Springs High School Tennis Courts located at 1200 Connally Street in Sulphur Springs. Entry forms are available at CANHelp, 613 Gilmer Street in Sulphur Springs, or online at www.canhelponline.org. Heritage Park is hosting a ribbon cutting celebration for the grand opening of Winiford Place, their new multi-purpose facility, on Tuesday, April 16th at noon. Heritage Park is located 416 Jackson Street in Sulphur Springs. Please make plans to attend this ribbon cutting and tour this beautiful new venue. The Rotary Club is hosting the 6th Annual Claws for a Cause on Saturday, April 27 on Celebration Plaza, downtown Sulphur Springs. Tickets are $30 for all-you-can-eat crawfish with all the fixins. Proceeds will benefit local charities and scholarships. One Church hosted their ribbon cutting celebration on Wednesday, March 27, at noon. They are located at 1400 Loop 301 in Sulphur Springs. 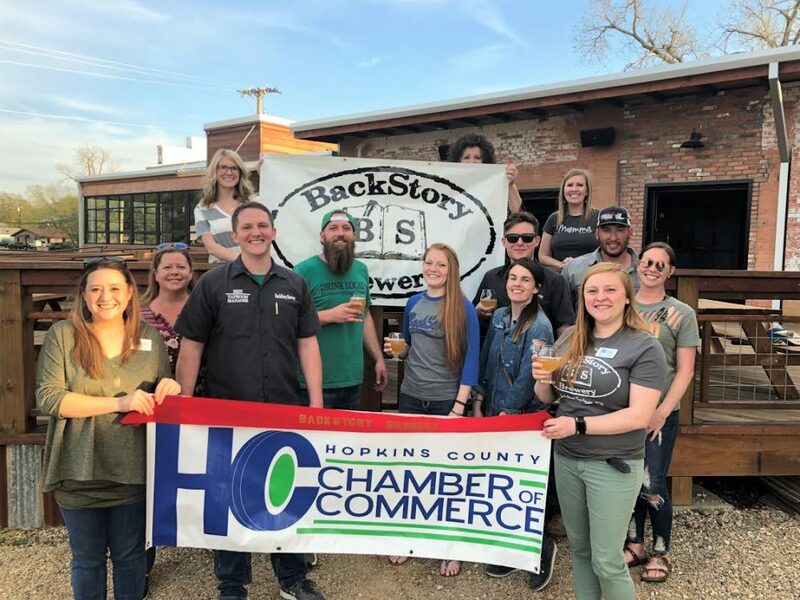 Backstory Brewery hosted their ribbon cutting celebration on Thursday, March 28, at 6:30 p.m. Backstory Brewery is located at 210 Magnolia Street in Sulphur Springs.